Irritated scalp? A shampoo that respects its sensitivity, strengthens its defences and relieves itching sensation would be the ideal treatment. 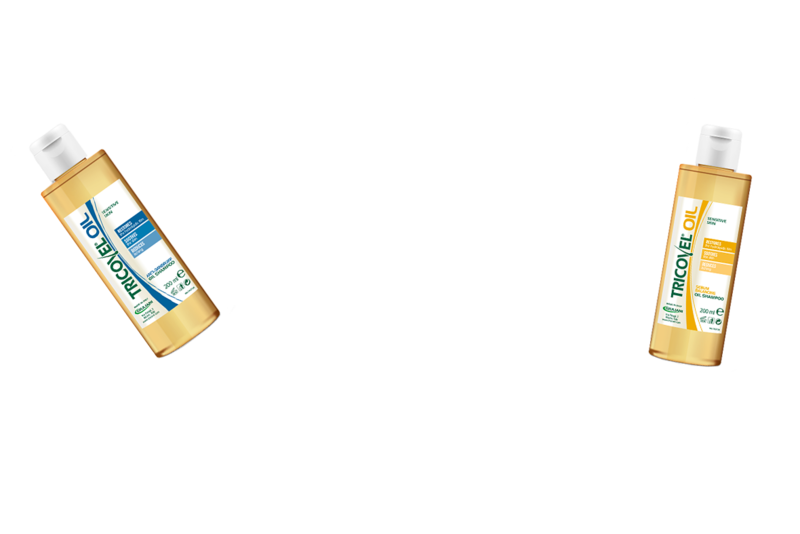 Tricovel® Oil Shampoo offers an innovative answer to sensitive scalp problems. With Active-Care Technology, result of Giuliani Trichological Research, the 4 shampoos of the Tricovel® Oil line are designed to provide specific solutions aimed at the different needs of sensitive scalp of all hair types: greasy, dry, brittle, with dandruff. 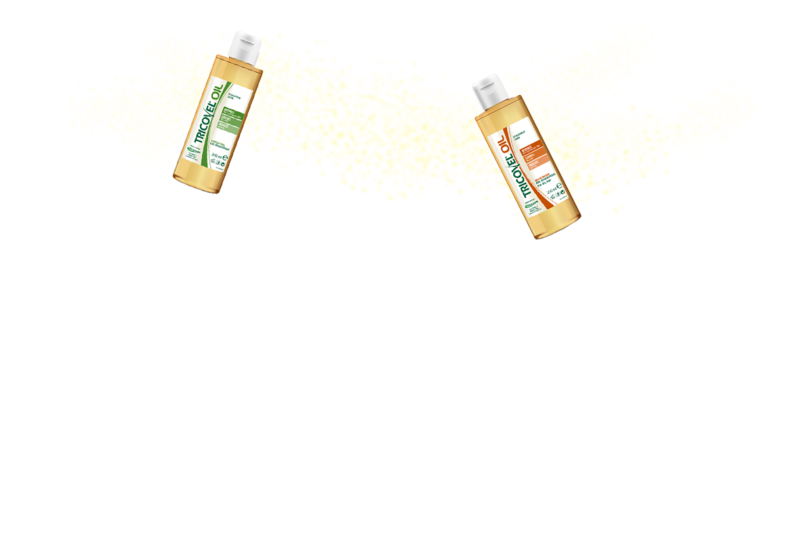 Oil Shampoos are dermatologically tested. Sensitive scalp presents an excessive reactivity to external factors. This condition is caused by an alteration of the hydrolipidic film, a natural protection that covers the skin surface and acts as an external barrier. An alteration of the hydrolipidic equilibrium reduces its defensive capability: harmful agents penetrate the skin, creating a state of irritation which occurs with burning, itching, tightness, redness and flaking. PG3A – Active ingredient with a soothing and sebum-balancing activity that, adhering to the scalp like a net, restores the hydrolipidic barrier, improves hydration and reduces itching. GLYCIRDERM – Active ingredient based on a derivative of glycyrrhetic acid, obtained from liquorice, known for its ability to reduce redness and irritation of sensitive skin. The natural OIL NOT OIL washing base, similar to the keratin structure of the hair, is able to cleanse by affinity without attacking the scalp and with a light and pleasant soothing foam. 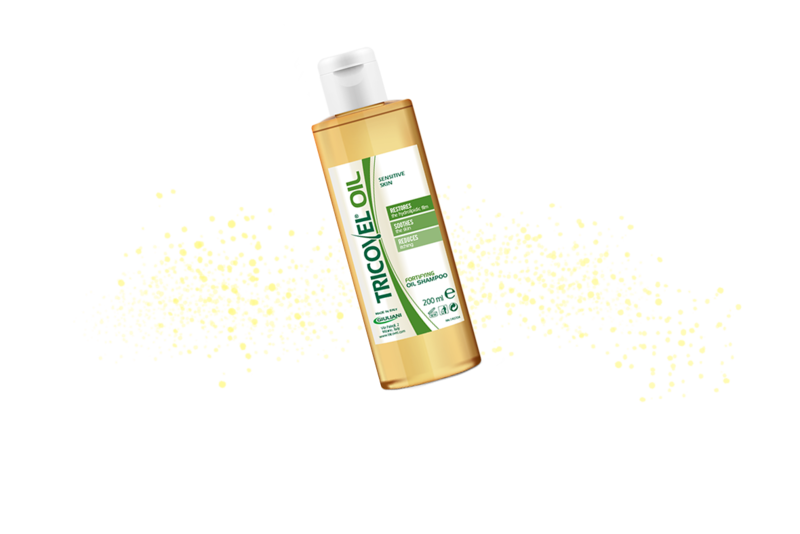 Tricovel® Oil Shampoo, therefore, not only gently cleanses respecting the hydrolipidic film, but also acts by strengthening the defences of the sensitive scalp and relieving its symptoms.